MARANA, Ariz. – It was a refreshingly candid morning, and it didn’t take much prodding. 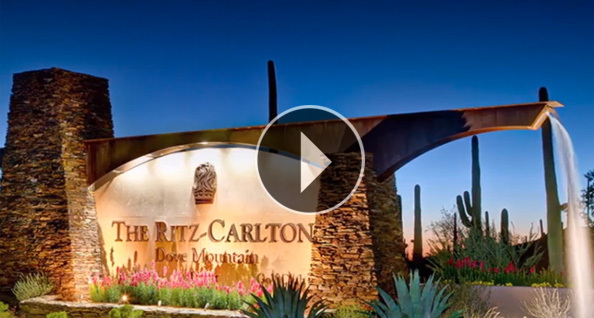 To say Jack Nicklaus didn’t agree with many of the changes mandated by the PGA Tour to the new Ritz-Carlton Golf Club at Dove Mountain would be an understatement. Amid criticism of the greens by players (including Tiger Woods) at the recent World Golf Championship-Accenture Match Play Championship, played at the southern Arizona golf resort and club, Nicklaus said he wished they had given the golf course a year or two to mature before going forward to change the firm greens. He challenged tour players to think a little more on the Dove Mountain course. And he said he didn’t want to create a golf course that would turn the match play event into a putting contest. The Saguaro nine – the front nine of the WGC Accenture – was already closed as several greens were stripped and changes were being made. On March 30, the Tortolita nine was scheduled to close for renovations, and the club would operate as a nine-hole facility – with the Wild Burro nine open – until June. At 69, Nicklaus still showed plenty of the game that won him 18 majors. Having given up competition for exhibitions, however, if he hit a shot he wasn’t particularly pleased with, he dropped another ball and hit another. In between, with course and tour officials present – as well as the gallery of guests – Nicklaus commented on the proposed changes as he played the last five holes of the Tortolita Course, the back nine for the WGC Accenture. At one point, he called a proposal on the 15th green merely “spending money.” He conceded, though, that some other changes might improve the course. Still, Nicklaus said he thinks his team, which included longtime senior design associate Chet Williams, got it 90 to 95 percent right. He concedes that today’s game is a power game, but he designed Ritz-Carlton Golf Club to challenge the mental side, which is perfect for match play. Nicklaus said he knows the tour is only trying to do the right thing by reacting to the players’ concerns, but he wishes the course had been given a little more time. “How can you get a guy who comes in here, he plays one practice round, and all of a sudden he’s an expert on the golf course?” Nicklaus asked. “I mean, this golf course I’m going to promise you in two or three years is going to be one of the favorite golf courses on the tour for these guys to play. They’re going to learn it; they’re going to learn how to play it.